You may not notice right away, but sometimes trees can start to slowly decline in appearance and performance. One week they can look great, and the following month they look as though something is not quite right. If you have found yourself in a similar dilemma, continue reading to learn what might be wrong with your landscaping trees. The first question you want to ask yourself involves the amount of water your tree is getting. Is it getting too much? Is it not getting enough? Both of these scenarios will causes adverse changes in your landscaping trees. Trees require deep watering, especially in hotter temperatures. Strive toward saturating the ground with water, starting at the trunk and finishing at the outer perimeter of the tree’s dripline. This should suffice until the tree roots are dry again. Once you have addressed any water management issues, it is time to ask yourself about pest and insect control for your trees. Beetles, borers, mites, wildlife, and even tree diseases can quickly affect the health of a tree in the worst way. For instance, leaf-eating insects inhibit the tree’s ability to carry on the process of photosynthesis, thus rendering the tree sick and weak. It requires a professional arborist to positively identify, diagnose, and treat insect infestations and tree diseases. Trees don’t just thrive on water and sunlight alone. They also require a sufficient amount of nutrients, or tree food, for optimal growth and survival. Trees source their nutrients from the surrounding and underlying soil. Which means poor or inadequate soil conditions can cause adverse changes in a tree. If you suspect that your tree is suffering from a lack of nutrients, try fertilizing it to regain its strength and stability. Contact an experienced tree care company for professional advice and service you can trust! 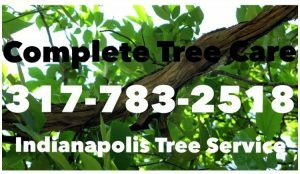 Call A Complete Tree Care at 317-783-2518 for professional tree services in Indianapolis, Indiana and its surrounding towns. We serve all of Central Indiana with a wide range of skilled tree removal and tree care services, for both residential and commercial properties. Whether you need a single tree removed, or simply require routine tree service, like trimming or pruning, we can deliver prompt and professional service at a fair price. 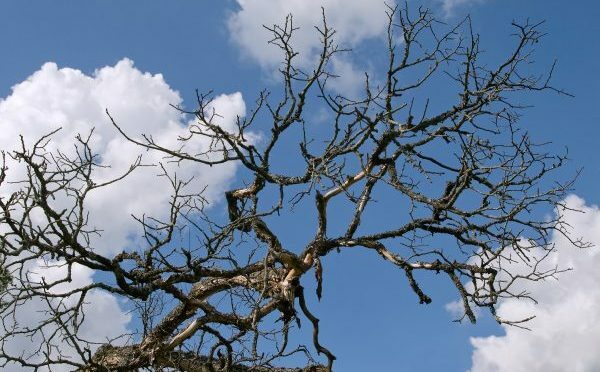 This entry was posted in Tree Care and tagged dead tree removal, Indianapolis tree care, tree care, tree care tips, tree diseases, tree looks bad, tree looks sick, tree removal, tree service, tree service Indianapolis, tree trimming, unhealthy tree. Bookmark the permalink.